Equal sign. "Equal Rights. No More. No Less. 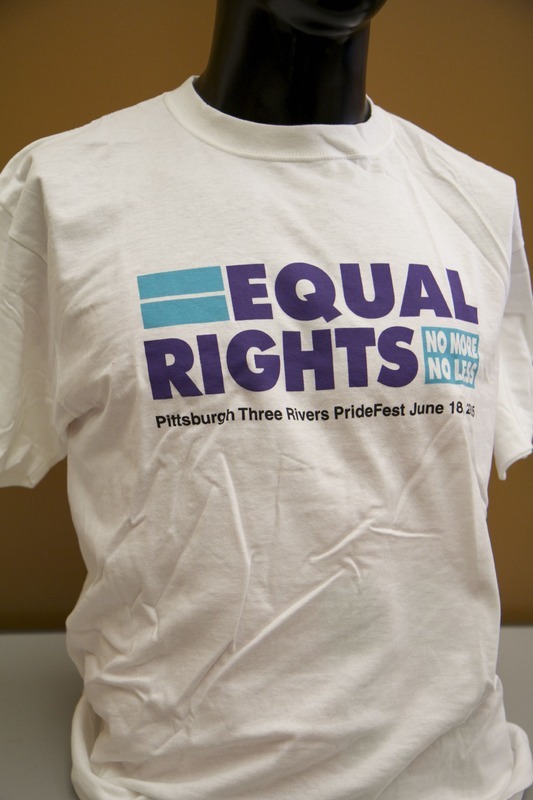 Pittsburgh Three Rivers Pride Fest June 18, 2005"
“Pittsburgh Pride 2005: Equal Rights, No More No Less,” Wearing Gay History, accessed April 19, 2019, http://wearinggayhistory.com/items/show/1336.